African safaris are also photographic safaris with more or less photographic gear from smart phone to point and shoot camera and professional SLRs. 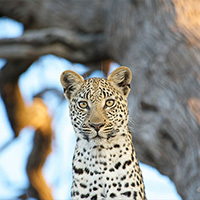 Being in the bush and close to the Big Five is an incredible experience for all photography lovers. Safari guests who thought they would only sit and watch start photographing as well to capture these memorable moments of being close to elephants and lions. This can also be the moment to realize, that the point and shoot camera is not sufficient for wildlife photography and plans are made to come back with better camera gear and better prepared. It is not only the camera, that makes good images, it is more to photographing wildlife on safari and one realizes that quickly when being on game drives. Anticipating animal behavior, knowledge about the light, the right location to photograph a sunset in the African bush, the right clothes, tips and tricks of wildlife photography and choosing the right safari destination make a successful photo safari. Ideally one would like to have all essentials in one place and the Photo Safari Essentials e-Guide provides just that. Including a little field guide to identify the wildlife, information about the game drive routine on safaris, tips what to pack and bring on safari, photo gear and wildlife photography advice and health info make this little e-guide a handy tool when preparing the safari and while being on safari. View and download the photo safari e-guide here. Going off road on African safari game drives is essential for the safari experience. It makes a big difference seeing the lion a hundred meters away or 3 meters away. Not only for wildlife photography lovers, but also for all safari guests, seeing the Big Five through the binocular is not the same than having them sitting next to you. Be aware, that in general national parks do not allow off road driving. Also night game drives are prohibited, except for some parks exclusively for their own operations with limited numbers of guests. Safari National Parks are open to the public and it would do severe damage to the bush and animals, if off road game drives would be allowed. To make people listen high fines are in place and guides can loose their license. The situation is different on private game reserves. 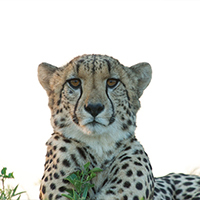 Game drives are regulated and rules for the number of vehicles on sightings are in place. Off road driving is allowed for the Big Five, but not to see an impala close up. Also there the protection of the bush and wildlife is of concern, but due to the private character of the game reserve, the safari experience is so much better. 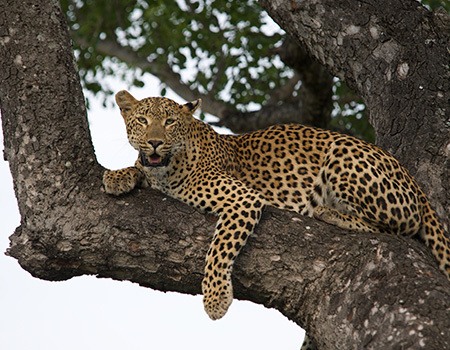 It is an incredible experience to follow a leopard through the bush and being able to witness otherwise hidden wildlife interactions or even a hunt. Private game reserves or private concessions are in all major safari areas like Sabi Sand/Kruger South Africa, Okavango Botswana or Masai Mara Kenya. The Okavango Delta in Botswana is one of the Seven Natural Wonders in Africa and a UNESCO World Heritage Site. It attracts thousands of visitors every year and is a top-rated African safari destination. Despite being very popular under safari travelers, the Okavango Delta offers remote tranquility, intimate wildlife sightings and a great variety of safari activities, both land and waterborne. A visit to the Okavango Delta is an enchanting African safari experience. The delta is produced by seasonal floods of the Okavango River, draining the summer rainfall from the Angola highlands into the Kalahari. The surge flows about 1,200 kilometers in approximately one month and spreads over an area of about 250 by 150 kilometers in size. The water never reaches the ocean. It rapidly evaporates due to the high temperatures in the delta. The flood peaks between June and August and the delta grows to three times of its permanent size. As this happens during the dry winter months, the water attracts wildlife from kilometers away and creates one of the greatest concentrations of wildlife in Africa. When planning your safari to the Okavango Delta, you should keep the flood levels at the different times of the year in mind. They have influence on the activities you can engage with at the different safari lodges. Low flood level can mean, that waterborne safari activities are not possible or in the case of high flood level, game drives in certain areas are not possible. Check the location of your lodge or camp in the delta to make sure you can experience all safari activities you would like to join during your tour. The Okavango Delta is a highly enchanting safari destination year round, yet mind the flood for the safari experience you are coming for. 1. The varied habitats of Kafue: Kafue, Lufupa and Lunga rivers with adjoining peaceful stretches of riverine vegetation, dambos and wetlands, extensive miombo woodland with seasonal floodplains and swampland create a diversity of habitats, that attract an abundance of wildlife. 2. The Luangwa river is the most intact major river system in Africa and is the life blood of the South Luangwa National Park’s 9 050 square kilometres. The park hosts a wide variety of wildlife, birds and vegetation. The now famous “walking safari” originated in this park. There are 60 different animal species and 400 different bird species. One special being Thornycroft Giraffe found only in the Luangwa Valley. Some magnificent trees grow in the Valley among the more common are the mopane, leadwood, winterthorn, baobab, large ebony forests, vegetable ivory palm, marula and the tamarind tree. The changing seasons add to the parks richness ranging from dry, bare bushveld in the winter to a lush green wonderland in the summer months. Mana Pools Reserve in Zimbabwe, so the whole area on both sides of the river is a massive wildlife sanctuary. 4. The Victoria Falls are known locally as Mosi-oa-Tunya (the smoke that thunders), due to its towering plume of spray that is visible at a distance. Within this area of the mighty Zambezi River one can engage in wildlife viewing or one of the many adrenalin activities on offer. The 108 m long (354 ft) and 1 708 m (5 600 ft) wide Vic Falls are the largest sheet of falling water in the world. 5. Due to the riverine wildlife areas the light is sublime for wildlife photography. Colors are crisp and clear, warm and rich. The landscapes of waterways with their distinctive vegetation are stunning backdrops for wildlife photography. The opportunity of photographing big mammals like elephants in and around the water allows amazing wildlife photography. It is simply heaven for wildlife photography enthusiasts. The wildlife areas in Zambia are best accessible by light aircraft transfer to avoid long drives. 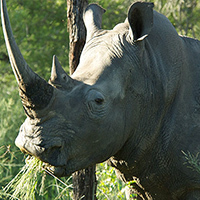 A great variety of land and waterborne safari activities are available for a diverse and exceptional safari experience. The best time to visit is from April to November, however, the so called “emerald season” is worth a visit too.